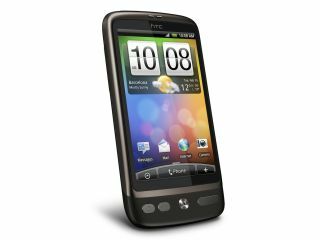 T-Mobile will offer the HTC Desire from 26 March in the UK, with Orange and Vodafone offering the device from April. The Desire – called the Bravo ahead of its release – is already looking likely to be one of the most hotly desired phones of 2010. T-Mobile has sprung a surprise by announcing it will be the first to stock the Desire, given that Vodafone took the stage at the HTC conference to be announced as a key partner to range all three phones: the Desire, Legend and HD Mini. Patrick Chomet of Vodafone said: "This time last year, I was standing here with Peter announcing the HTC Magic. "In the last year we've seen a lot of development in smartphones, and the progress made in that one year has been outstanding. "We're pleased to say that Vodafone 360 services will come on these [HTC] phones and on other smartphone services." The handset is almost the same as the Google Nexus One phone, but brings the Sense UI from HTC and a few cosmetic changes. "The Desire is one of the most eagerly-awaited handsets of the year, and without doubt one of the highlights of this year's Mobile World Congress," said T-Mobile. "T-Mobile was the first network to bring Android to the UK, and we now offer our customers a larger range of Android-powered handsets than any other network". Francois Mahieu, Director of Devices, Orange UK said, "We're really pleased to be working with HTC to bring the latest Android 2.1 device to market. "The Desire is a truly powerful handset which will allow consumers to get to grips with all the things they love about the internet." None of the networks has yet been forthcoming on the price of the handset, but we'll keep you posted.